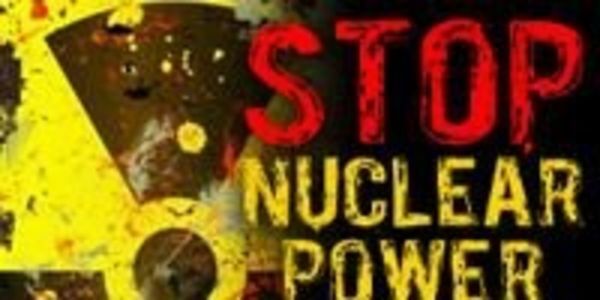 WE, THE UNDERSIGNED SAY 'NO' TO NUCLEAR ENERGY and call on the Government of Malaysia to apply the Precautionary Principle, abandon its plans to build Nuclear Power Plants, and instead take the path to Safe, Sustainable Renewable Energy. Nuclear power continues to be promoted by a discredited nuclear industry and its proponents through the dissemination of misinformation and false claims that it is cheap, clean and safe. The government of Malaysia, its corporate cronies and some dubious elements of academia are now part of this compact. Nuclear power&rsquo;s lofty slogan, Too Cheap to Meter, and its false promise of Atoms for Peace were based on untested premises and unfounded assumptions. Nuclear power is not reliable, affordable, economically viable, socially acceptable and environmentally sound. By the early 1980s, nuclear power had clearly failed &lsquo;the market test.&rsquo; With Chernobyl and Fukushima, it has failed the test of safety and popular acceptance. Forbes magazine has labelled nuclear power &lsquo;the biggest managerial disaster in history.&rsquo; Energy expert, Amory Lovins, has termed it &lsquo;the greatest failure of any enterprise in the industrial history of the world,&rsquo; having lost more than US$1 trillion in subsidies, cash losses, and abandoned projects. Decision making in the nuclear industry is undemocratic, secretive and opaque, and is at odds with transparency and accountability. Fukushima is a wake-up call. Many countries have renounced nuclear power and are phasing out their nuclear power plants. Instead, they are turning to renewable energy and energy efficiency technologies. A nuclear meltdown is catastrophic, but the greatest danger of nuclear power lies with its long-lived radioactive waste. Science has not found a safe way of disposing of nuclear waste which remains radioactive and lethal for thousands of years. For example, plutonium has a half-life of 24,400 years. In other words, it will take 24,400 years for the radioactivity of any quantity of plutonium to be halved. The reality is that, if medieval Man had used nuclear power, today we would still be &lsquo;managing&rsquo; his nuclear waste. To bequeath such a legacy to future generations of Malaysians is unconscionable, unethical and immoral. This petition is supported by the Malaysian Coalition Against Nuclear (MyCAN).